as well as other important Core Files supplements below. These outlines are the exact argument labels (called “tags”) found in the Chicago Debate Core Files with all of the evidence removed. The outlines can be used to teach and learn the Core Files arguments first before delving into the more complex textual evidence. These outlines are the exact argument labels (called “tags”) found in the Chicago Middle School Debate League Core Files with all of the evidence removed. The outlines can be used to teach and learn the Core Files arguments first before delving into the more complex textual evidence. This year we are working with four print vendors: Crossmark, Kwik Kopy, Riverside Graphics, and Quartet Digital Printing. For those who need a CPS vendor code to pay for the Core Files, please contact Riverside Graphics. For those who can pay by check or credit card or do not need a vendor code, you may contact any of the below vendors. At a minimum, each school will need one copy for every pair of 2 students who will compete together at tournaments and at least 2-3 extra copies as backup and for coaches to keep at practice and for tournaments. 1.) Please have orders directed to James Monahan (jpm@riversidegx.com). 2.) NO order will be processed until payment has been arranged. As an approved vendor (#18443), we can accept official CPS Purchase Orders, checks, cash and major Credit cards (Visa, MasterCard, Amex and Discover). 3.) Orders are only accepted through the participating schools. No orders from individuals will be accepted, i.e., no having individual parents order one copy for each child. 4.) Please allow 3-5 days from receipt of the PO. Items are due to ship UPS Ground unless other arrangements are made. We suggest that schools do not wait until the last minute. These orders are printed on demand and are processed in the order they are received, although we are well equipped to move them out as quickly as possible. Sets are $59/each for High School, $40/each for Middle School, and $29.50/each for Teacher Manual. Please note: Delivery is $5.25 per order. Delivery will take two to three days from the date of the provision of method of payment. Contact production@quartetdigitalprinting.com for exact costs and shipping rates. In order to be prepared to compete, each Chicago Debate team needs to have an evidence box, within which is a set of Core Files, properly filed. We recommend using basic manila file folders, which are easy and cheap and you may already have around your school. 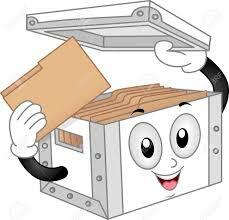 Some teams prefer accordion (or expanding) files to file folders. Here is a solid accordion file option. Note that this won’t fit your entire Core Files, but would work well if you selected one affirmative out of the options in the Core Files. If you plan to use our Core Files labels, order the Avery 5160 labels to print them out on! Consider getting a box for each team of 2 students to carry their evidence to and from tournaments.